The mega movie star Bruce Willis needs no introduction. He has been a continuous part of popular culture since he burst onto the world stage more than 20 years ago, first in the television series Moonlighting and then in the cinema tetralogy Die Hard. 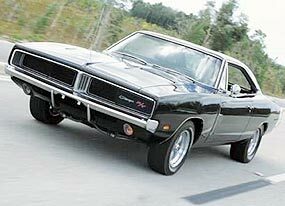 Now, this leading man’s collection of American muscle cars is being offered by renowned auctioneers Bonhams & Butterfields in Los Angeles on October 25th. The cars in the collection are representative of Willis himself in that they are purely American and focus on strength, performance, individuality and quality. Following are highlights of five of these magnificent automobiles. These no-expense-spared performance cars personally upgraded, owned and driven by a legend of the silver screen will be offered at Bonhams’ annual Classic California Sale held, fittingly, at the Petersen Automotive Museum in downtown L.A.’s Miracle Mile District on Saturday, October 25. It would be worthwhile attending, just to have a look at some of these vehicles. Complete and detailed descriptions of these cars as well as the never-before-offered personal belongings of Steve McQueen, offered by his first wife, Niele Adams, can be found in the sale catalog. This may be reviewed and purchased at www. Bonhams. com/us. Interested collectors may register to bid in the auction - in person or remotely - via the website, by e-mailing [email protected], or by calling 415-391-4000. Last week I asked why was Rene Lalique well known among car collectors. It was because he used to make Lalique glass bonnet mascots. Incidentally, they are worth big money today for an unmarked one. So to this week. A maker of aeroplanes decided to go into production of cars, after WW II. The body was made of alloy, with thicker panels on the top of the front wings, where mechanics would lean during servicing. The engine was a two liter six cylinder which was appropriated from a German auto manufacturer as part of the war reparations. The body shape was very aerodynamic and in tests done in 1973 (20 years after the car had been discontinued), only four current production cars were found to have marginally better drag coefficients. What was this car? 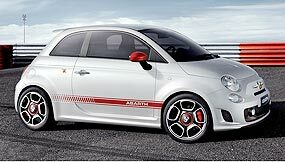 The new Fiat 500 - practical or just a dream? The new Fiat 500 has been voted the European Car Of The Year, so it has already got some credits to its name, but are these remakes (the VW Beetle, the Mini and now the Fiat 500) really representative of the originals, and very much loved originals at that? Quite simply, no they are not. The ‘new’ beetle has FWD and you can order a turbocharged dual overhead cam engine delivering 150 bhp. The original Beetle had a 1200 cc engine hanging out the rear and delivering a staggering 25 bhp. The ‘new’ Mini isn’t really ‘mini’ at all, being much larger than the original Sir Alec Issigonis design which was just over three meters long, with an 850 cc engine that delivered 34 bhp. The new Mini is over three and a half meters long and you can get engines from 125 bhp upwards. Now here comes the classic Fiat 500 which was built for 20 years, starting in 1957. It was designed as a small, economical car to get Italians mobile. It did have an air-cooled 500 cc engine in the rear and developed 18 bhp. It also had suicide doors (rear hinged) until 1965 and had a four speed ‘crash’ gearbox. Italians loved them (and many Europeans too), and Fiat made 3.5 million of the little buzz-bombs. So now we have the ‘new’ Fiat 500, which although it looks even more like the original than the VW or the Mini, should really be called a Fiat 1200, as the engine is now 1.2 liters and is at the front, and can deliver 68 bhp to the front wheels (though there are variants delivering up to 100 bhp through a six speed all synchromesh gearbox). An even larger difference is in the manufacture. There is no spaghetti anywhere, as the Italian icon is actually made in Poland, so the stains under the seat are more likely to be soup, such as the popular bouillon or tomato or more festive barszcz (beet). So if you are looking to recapture those heady days of drinking chianti in the piazza of Torino, unfortunately, like most remakes, the Fiat 500 is more ceremony than substance. It is, however, a good car in its own right, but it is not a Fiat 500. However, today’s equivalent is the Tata Nano. Will we be lining up for a ‘new’ Nano in 50 years time? I wonder. OK, I admit it, I am only human. I made a mistake when I suggested that Lewis Hamilton was robbed in Italy. At Monza, the very deserving winner was Sebastian Vettel, without any help from bungling FIA stewards. It was at Spa in Belgium that Hamilton was given the post-race penalty, against which no appeal could be made, or even accepted by the FIA. That is what is so galling. Hamilton was not found guilty at the hearing in Paris. The FIA refused to even accept the appeal. What kind of ‘justice’ is that?